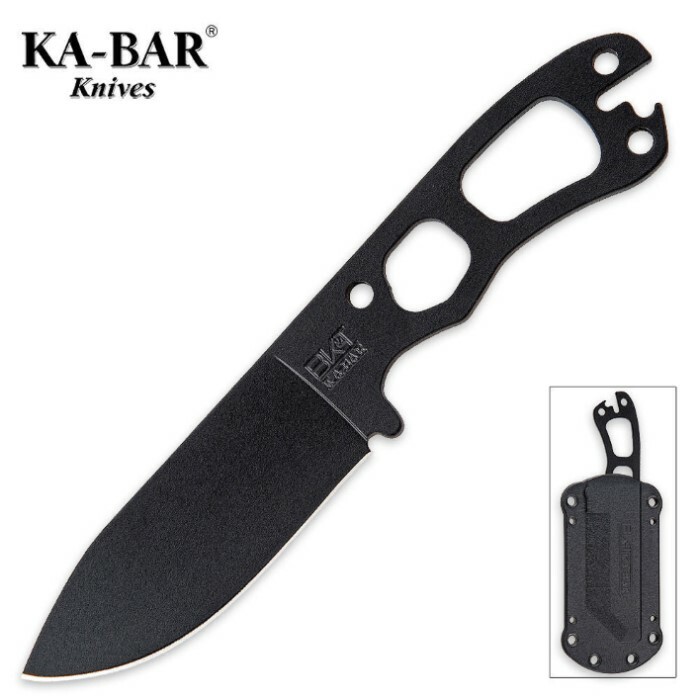 Kabar Necker Black Plain Blade Knife | BUDK.com - Knives & Swords At The Lowest Prices! The KA-BAR Becker Necker knife is one indestructible tool! It is constructed of one solid piece of 1095 Cro-Van carbon steel with an HRC of 56-58. A plastic injection molded glass-filled nylon sheath is molded to exactly fit this indispensible survival tool.